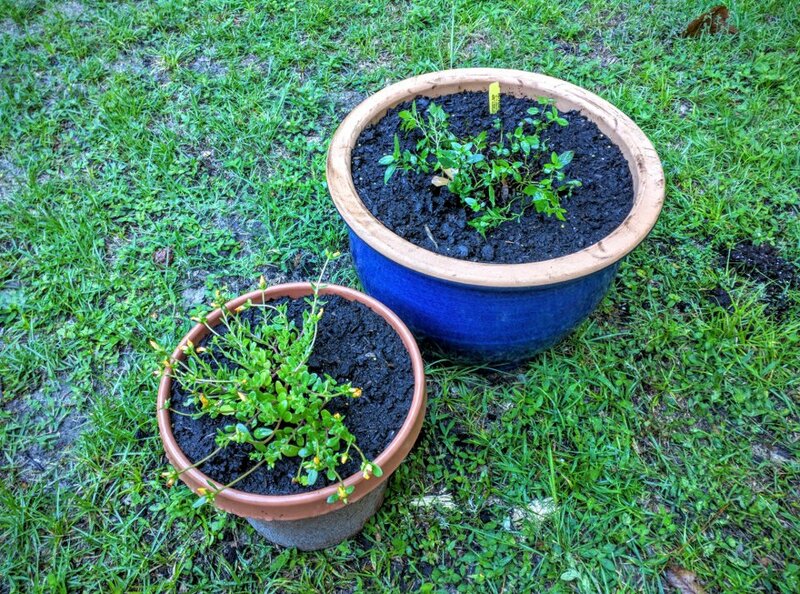 I got the peppermint transplanted into a bigger pot, and the purslane moved into the peppermint's old pot. I sort of expect the peppermint to have some transplant shock because it wasn't a very gentle or easy move. At one point, I ended up with a loose handful of minty vines in my hand, and I had to put her back in the pot as well as I could. The lesson I take from this is that you should always put mint in a bigger container than you think is reasonable. It will use the space.